Lucy Yang has more from Patchogue. 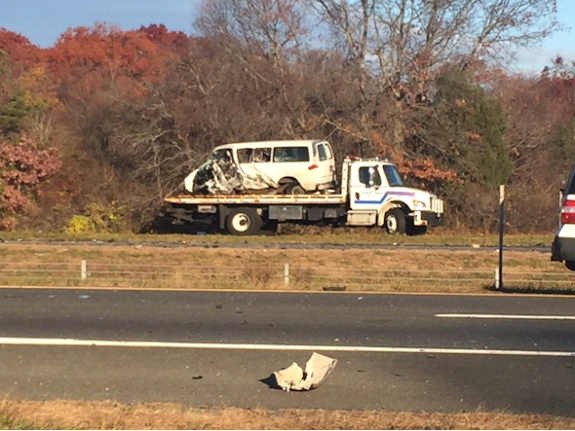 BROOKHAVEN, Long Island (WABC) -- One man remains in critical condition after a wrong-way crash that killed two drivers early Sunday on Long Island. 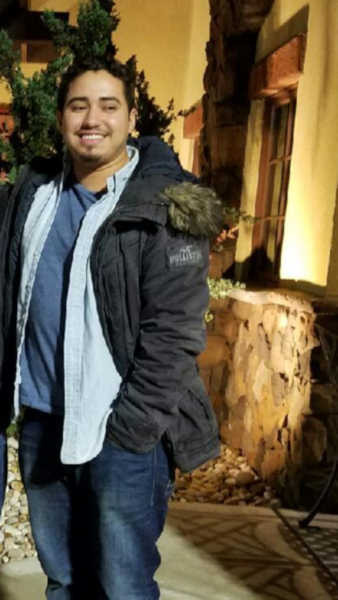 Police say 23-year-old Kevin Melgar got behind the wheel of a 2004 Infiniti on Sunrise Highway and for some reason began driving the wrong way. Witnesses quickly spotted the doomed vehicle and called police. The sports car drove against traffic and was speeding in the dark for roughly seven miles just before 4 a.m. The distance between the two was getting shorter and faster. The vehicles were on a collision course. Then, right near Exit 57 was a violent impact - Melgar slammed into the van, killing himself and Ayyildiz, who lived on Long Island with his family. Family members say he was a flower deliveryman, and was on the way to work when the wrong-way car slammed into his van. He not only delivered flowers, he brought his wife flowers every day, and gave them to neighbors as well. Now he leaves behind three grieving daughters. Melgar, who was from Brentwood turned 23 years old on Sunday. His father tells Eyewitness News they were supposed to celebrate together, but he never made it home. Also in the white sports car with Melgar, was his cousin, 25-year-old Johnathan Valladarez. Emergency crews were able to pull him from the wreckage. Valladarez is currently in critical condition at the hospital. During the crash investigation, police say a 2014 Isuzu street sweeper drove beyond the road closure and struck two occupied police vehicles, which both had emergency lights activated at the time. One police officer, a four-year veteran of the department, was airlifted to Stony Brook University Hospital where he was treated for non-life-threatening injuries. A sergeant and the driver of the street sweeper, Robert Cook, 36, of Levittown, were not injured. Motor Carrier Safety Section officers responded to perform a post-crash safety inspection of the street sweeper and issued multiple violations. The van involved in the deadly crash was being towed from the scene as police investigated the accident.